“What’s important to me is to do well at the right time, which is in early 2020,” Castro told NBC News. While the news cycle was trained on Beto O’Rourke’s plunge into the 2020 presidential race, Julían Castro was trying to make inroads with South Carolina voters. His first visit to the state Sunday since declaring his presidential bid on Jan. 12 included stops at a church service, the site of a future African-American museum and a barber shop, among other places. On Monday, Castro swung through New Hampshire, focusing on the economy. The trip to New Hampshire, which holds its primary Feb. 11, 2020, was part of a round of travel to the first four states to vote in 2020 — Iowa, New Hampshire, South Carolina and Nevada. “What’s important to me is to do well at the right time, which is in early 2020,” Castro said in a telephone interview fit in before meeting students from the Peter T. Paul College of Business and Economics for a coffee. Castro said that as word is spreading of his campaign, the campaign's database of supporters and voters is growing in each of the states he's visiting, especially where he has organizers on the ground. The goal remains to build a momentum, he said. “We’re putting the building blocks of success in place. We’ve staffed up significantly. We are organizing now in Iowa and New Hampshire. Soon we’ll have personnel in Nevada and South Carolina,” said Castro, who pledged in January to pay all campaign workers $15 an hour and support his workers if they form a union. Castro zipped from New Hampshire to Dallas where he was to attend a fundraiser Tuesday, The Dallas Morning News reported. These early fundraisers could be crucial, as Castro is facing rivals with quite a bit more money at their disposal. O'Rourke raised $6.1 million in 24 hours after entering the race — ahead of Bernie Sanders’ first day total of $5.9 million on his first day and all other candidates — while Castro, the only Latino running in 2020 so far, has kept a much more moderate fundraising pace. At the end of December, before he announced for president, Castro had raised $220,387.81. That’s a pace that’s unlikely to sustain him deep into a competitive primary campaign. On Monday, Castro had posted solicitations to voters for at least $1 donations. With two Texans in the race for the Democratic nomination, the state could be stretched thin in the search for campaign donors. O'Rourke is coming off a competitive Senate challenge to a Republican incumbent, Ted Cruz, and achieved national recognition along the way, particularly for his fundraising prowess. Castro burst onto the national scene in 2012 when he delivered the keynote speech at the Democratic National Convention. The former Housing and Urban Development Secretary under President Barack Obama and a former San Antonio mayor, Castro would be the nation's first president of Mexican descent if elected. On the campaign trail, Castro regularly acknowledges to audiences that he is not a front-runner, but points out that that’s the story of his childhood — he grew up poor, raised by his activist mother and his grandmother after his father left the family when he was 8 — and he has succeeded nonetheless. 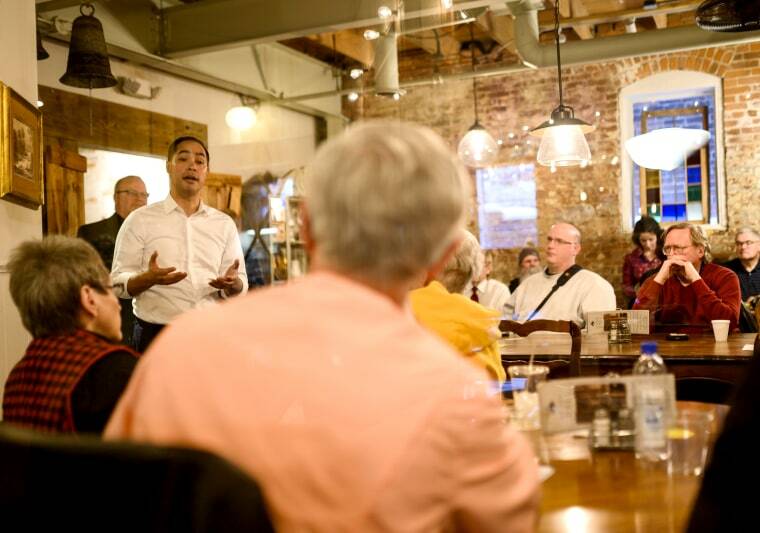 "I know right now I'm not the front-runner, but where I was born and grew up, much like a lot of people in this room, that's nothing new," Castro told a small gathering at Howard's Barber Shop in Goose Creek, South Carolina, The Post and Courier in Charlotte reported. Political strategist José Aristimuño, who last worked on the 2018 campaign of Rep. Debbie Murcarsel-Powell, D-Fla., noted that Sanders started out in 2015 with very low name recognition, but surged in popularity within months. Sanders ultimately lost the nomination to Hillary Clinton, but his platform has had lasting impact on the party's agenda. 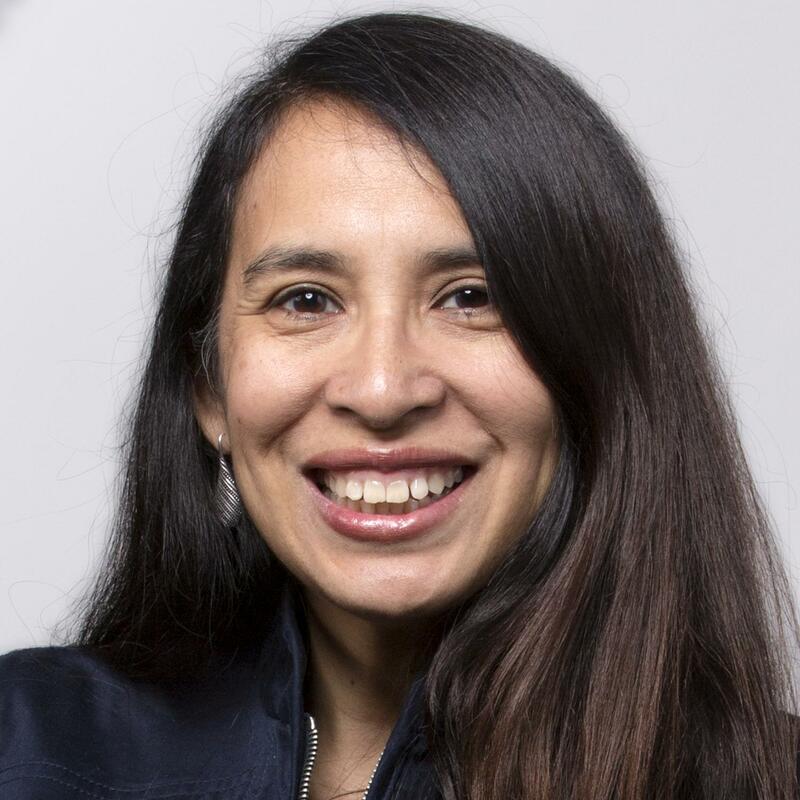 Aristimuño, who founded NOW Strategies, a progressive public relations firm, said Castro has to be able to keep up in raising money and has until late summer to show he's bringing in substantial contributions. "It's early. By August we'll look at his numbers and fundraising and see if he's started doing well," Aristimuño said. On Monday, Castro posted solicitations for contributions on social media telling potential contributors that just $1 could help him become a contender. Last week, in an attempt to show he is building support, Castro' campaign released a list of Texas officeholders backing him on the same morning that O’Rourke announced his bid. The list includes Henry Cisneros, who like Castro served as San Antonio’s mayor and as secretary of Housing and Urban Development; Cisneros served in the Clinton administration. Cisneros in his endorsement said Castro has the "vision of an executive, the heart of a powerful personal story and a successful track record of not just talking about bold policy, but delivering results." In an article published Friday, the day after O'Rourke announced his candidacy, Politico criticized the timing of Castro's endorsement list, calling it a “blunder” in a headline. Democratic strategist Colin Strother told Politico the list was “weak” and that releasing it on the same day as O’Rourke’s announcement was in poor taste. While one state lawmaker on the list told Politico he's remaining neutral in the primary, another who was not quoted in the article, Texas state Rep. James Talarico, touted his endorsement of Castro on social media. Talarico said he endorsed Castro because Castro "risked his political career on a proposal to raise taxes to provide pre-K for kids growing up on the westside, just like he did." While he was mayor of San Antonio, Castro ushered through a one-eighth of a cent sales tax increase to create a high-quality, full-day pre-K program that educates about 2,000 children a year, many of whom attend for free. He faced stiff opposition to the 2012 tax increase. Castro’s campaign declined to respond directly to NBC News' request for comment on Strother’s criticisms, but Castro spokeswoman Jenn Fiore said the candidate “has his own unique story to share with voters over the next year." "Our campaign will stay focused on his message and won’t get distracted by what other candidates are doing," she said. Victoria DeFrancesco Soto, a political analyst and lecturer at the Lyndon B. Johnson School of Public Affairs at the University of Texas at Austin, said that in hindsight the decision on when to release the endorsement list may not have been the best strategy for Castro’s campaign, but that she was hesitant to call it a blunder. O’Rourke had to deal with his own criticisms last week. After facing a backlash for joking that his wife was handling most of the child raising, he apologized. And he was forced to address “white privilege” that allowed him escape serious punishment after arrests in his youth for drunk driving and attempted criminal trespass. He also apologized for postings he wrote while he was a member of a hacking group as a teenager. DeFrancesco acknowledged that Castro’s fundraising doesn’t match Beto’s, but said campaign strategy aimed at the larger electorate is also important. “There’s only so many people in there, and Beto’s and Bernie’s campaigns might appeal to the same demographic,” she said. In Texas, Castro is likely to get more of the Latino vote, DeFrancesco Soto said. O’Rourke did well among Latinos in his failed Senate bid in November, but he did not win the Latino vote in the Democratic primary. The campaign trail in Texas, however, could get a lot more exciting, and maybe more confusing. On Saturday, Castro tweeted that he may have some company as a candidate — his twin brother, Rep. Joaquín Castro, D-Texas, may take on the state's other Republican senator, John Cornyn. "Texas is going to be competitive, no doubt, especially if Joaquín runs, as well. Joaquín and I have never been on the ballot together before," Castro said. "If that happens the level of interest will be tremendous."